This Saturday (6th September 2014) - Boats In The Bay - a host of events in and around St Ives Harbour. 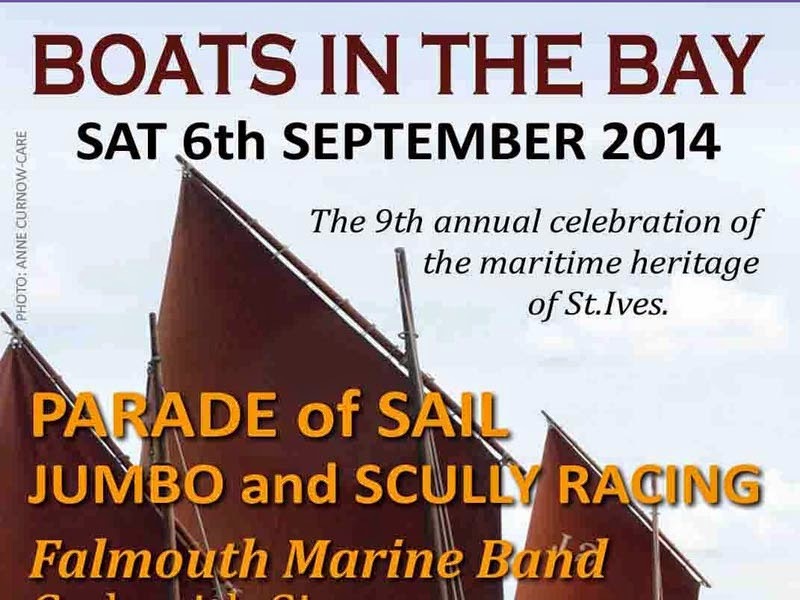 Organised by St Ives Jumbo Association - to celebrate the maritime heritage of our town. The day will see the launch of a new Sailing Punt designed and built by local boat-builder Jonny Nance. In keeping with all the boats launched by the Jumbo Association, pastor Matthew Care will bless the new arrival during a brief ceremony due to begin on the Old Slipway at around 12.30pm. From 2.00 pm classic old sailing boats will assemble in St Ives Harbour and St Ives Bay. Locally-based boats will be joined by original and much larger luggers such as Barnabas SS634, built in St.Ives in 1881 by Henry Trevorrow and the Happy Return which was built by Kittos of Porthleven in 1905. 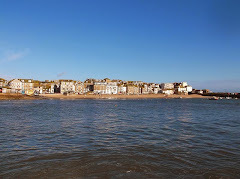 The annual St Ives Swimming Gala gets underway from the Old Slipway at 3.00 pm. This will be followed by Scully Racing in the harbour - featuring replica St Ives Punts. Prizes will be presented by St Ives Mayor Linda Taylor at 7.00 pm on the plat outside the Shore Shelter. The evening continues at the Castle Inn on Fore St. - where you can meet the crews and join in with The Cadgwith Singers.